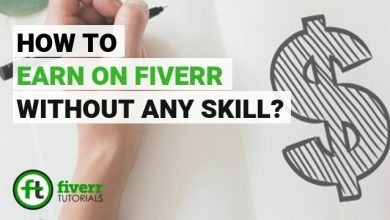 Home/Fiverr Seller Tutorials/How Fiverr Works for Sellers in 2019? 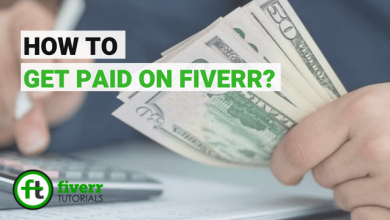 Did you ever wonder how Fiverr works for sellers in 2019? If yes, then your curiosity is going to award you with some great knowledge of Fiverr after reading this article. Hence its name, “Fiverr” is the world’s largest marketplace offering digital tasks and services starting from basic of $5 per favor. The platform is basically used by the freelancers where they sell their services to their customers on a global scale. 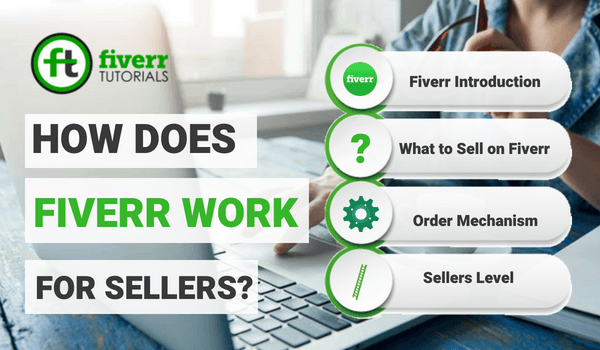 A Complete 2019 Guide to How Fiverr Works for Sellers? 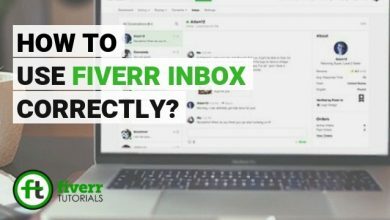 Before we move ahead to explain How does Fiverr work?, let’s share some commonly used Fiverr terminologies everyone needs to know before getting started on Fiverr. Fiverr sellers are the freelancers selling services on Fiverr. 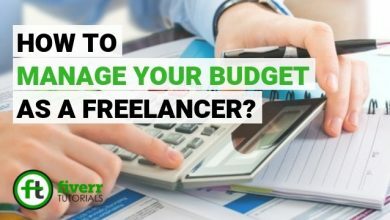 Initially, as a new seller, each seller or freelancer can create a maximum of 7 gigs in his profile. The Gig price ranges from a minimum of $5 to $995 max (except the custom offer). Seller earns a commission of 80% out of each order completed by him. For example, a $20 order will increment his account with $16 whereas Fiverr will keep its commission of 4 dollars. 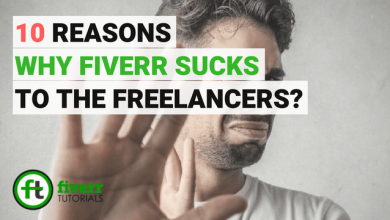 The persons who buy sellers services or gigs are the Fiverr buyers. Fiverr allows its users to browse through the categories or the Fiverr search engine to check out the service they want to purchase. When a buyer sees something favorable for him in the gig, he/ she has an option to contact the seller for further inquiries, otherwise, he can simply place an order. All purchasers are subjected to pay the processing fee of $1 for the purchase less than or equal to $20 and 5% on the purchase of $20 above. 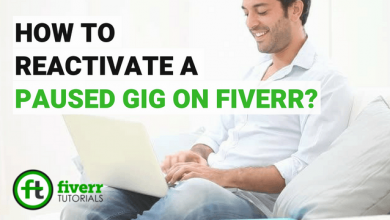 The services offered by the sellers on Fiverr are Fiverr Gigs. For example, “I will write a 500 words article for $5” is an example of a gig title on Fiverr. 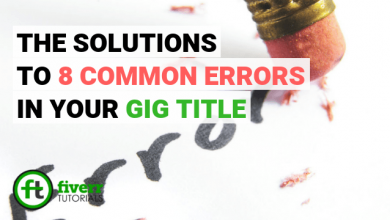 While Creating a Gig on Fiverr, the seller can opt to create three different packages to make it more reasonable for the buyer. Learn How to Create a Gig that Stands-out! What are Fiverr Gig Extras? Considering the above example, “I will write a 500 words article for $5”, creating gig extra for this, the seller can offer 1000 words article for an additional $5. When a buyer purchases some services (gigs) of the sellers it said to be an order. There are a number of factors involved in generating your first sale on Fiverr like your Gig SEO, profile effectiveness, Gig promotion to find the potential clients. 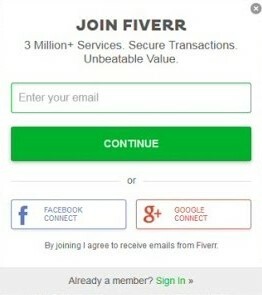 For every freelancer to buy or sell services on Fiverr, the sign up for the site is compulsory. Singing up to Fiverr is free. Once you go to the signup page, it requires your user-name, e-mail, and a password and you are ready to go. You can also sign up through to Facebook account, however, it’s not a preferable approach. 2- What to Sell on Fiverr? 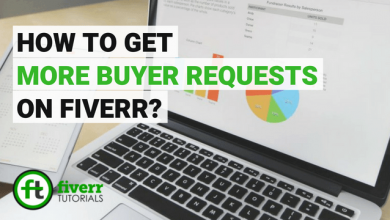 After signing up, you must be wondering what should you sell on Fiverr? Almost everyone can find something to sell on Fiverr. If you face any difficulty in finding the services to sell, just troll the categories of services on Fiverr. Analyse the categories and find the area where your skill fit in. However, a new seller can use hundreds of Gig ideas to start earning within no time. As discussed earlier, sellers start their services from $5. 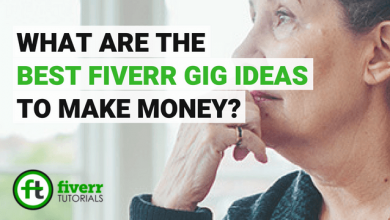 For every sold gig, Fiverr charges 20% of each order budget. For example, if your gig is of writing 500 words article for $5, then you will earn a revenue of $4. 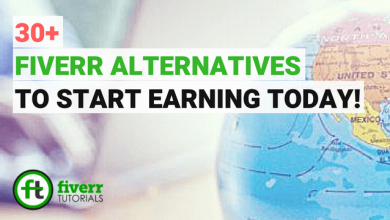 After the payment clearance, you can follow the procedure to withdraw earnings from Fiverr. Whenever a buyer places an order, he/ she pays Fiverr in advance. The order value or price is stored between the buyer and the seller. If the buyer’s expectations are met and the order is delivered successfully Fiverr transfers 80% of the order revenue to your account. Despite, it is returned to the buyer. That’s how Fiverr works for sellers, as far as payment mechanism is concerned. The buyer has an authority to rate the seller’s services out of five stars review system. If the buyer gets what was expected and what the gig was describing? It’s his/ her responsibility to gift seller with positive ratings and review. However, the seller can’t challenge the buyer either for making a review or a positive review. Because Fiverr prefers the buyers more than the sellers. This is how does Fiverr work from reviews and rating perspective. The seller levels are just like ranks or badges, sellers are awarded for their consistent, high-quality, reliable and genuine services on Fiverr. These levels can help sellers skyrocket their services and credibility. Once signed up, you’re are automatically labeled as a “New Seller”, and after meeting the requirements for Level One, Level Two and Top Rated Seller, you can start climbing up the level system on Fiverr.